This Saturday August, 23rd join us for our first ever joint bridal trunk show! The Sparkle Party will be the hit of the weekend in Lexington. 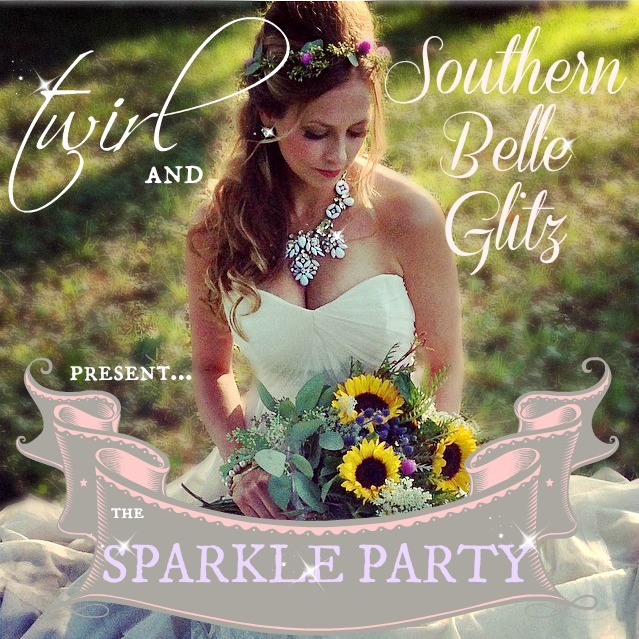 With designer wedding gowns at your fingertips and bridal jewelry that will make every girl "oooh" and "ahhh", each bride will have the opportunity to receive one-on-one style sessions with the girls of Twirl and Southern Belle Glitz. Allow us Twirl Girls to dress you in your dream wedding gown while the ladies of SBG ice you in gorgeous crystals and pearls for the perfect finishing touches. The SBG girls will not only be bringing their stunning and sparkly bridal collection, but also thier Boutique Collection! Find a piece for all of your wedding events. A touch of glamour for your wedding shower, some glitter for your bachelorette party, or even gorgeous gifts to give to your bridesmaids! You will find the perfect piece of glitz for any of your occassions! This exclusive trunk show will fill up quickly with many bridal appointments taking place throughout the day, so please don't hesitate to call and confirm appointment availability by calling us at 859-309-2493 or send us an email to ty@twirllexington.com. Don't miss out on getting your little bit of frosting for the big day! Nobody can resist a girl in a Twirl gown and ice from Southern Belle Glitz. Older PostA Ring to It: Vivacious or Venturesome?